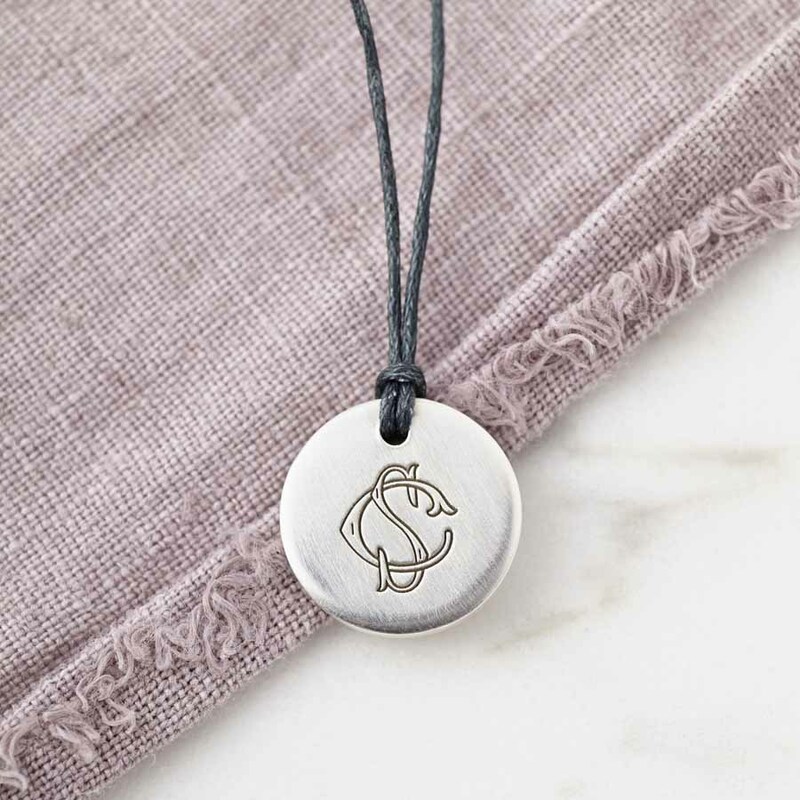 A solid sterling silver personalised monogram pendant on adjustable cotton cord. A hidden message can be engraved on the back of the pendant. Two initials are combined to create the unique intertwined monogram engraved on the front of this sterling silver pendant. These could be could be the wearers initials, yours and their initials combined, or perhaps the children’s initials. Please contact us if you’d like to see the monogram of your initials before placing an order. 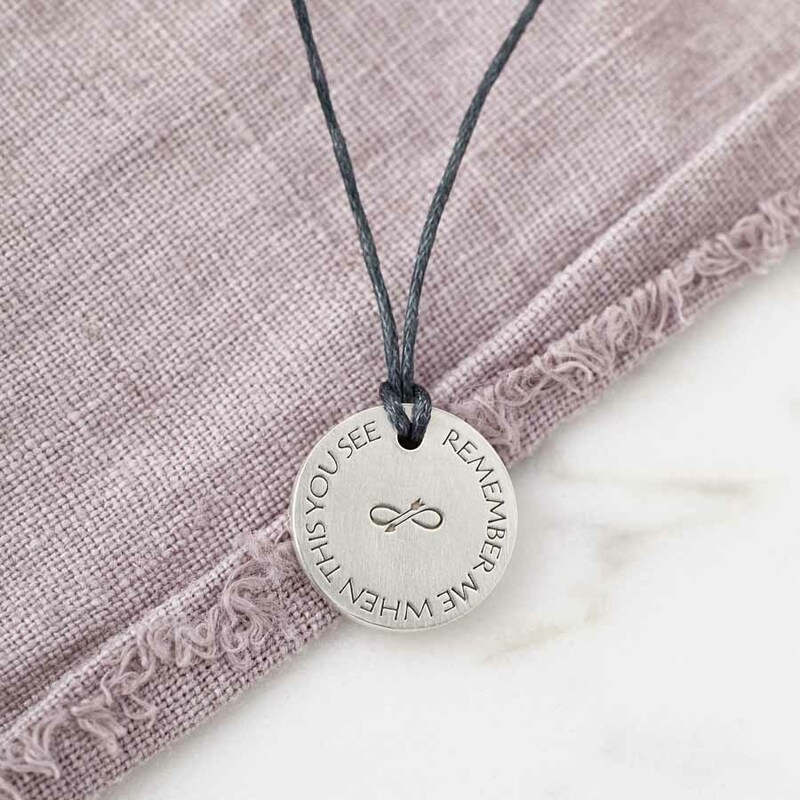 An infinity love arrow design is engraved on the reverse, and you can choose to add a hidden message as illustrated – something between just you and the wearer. 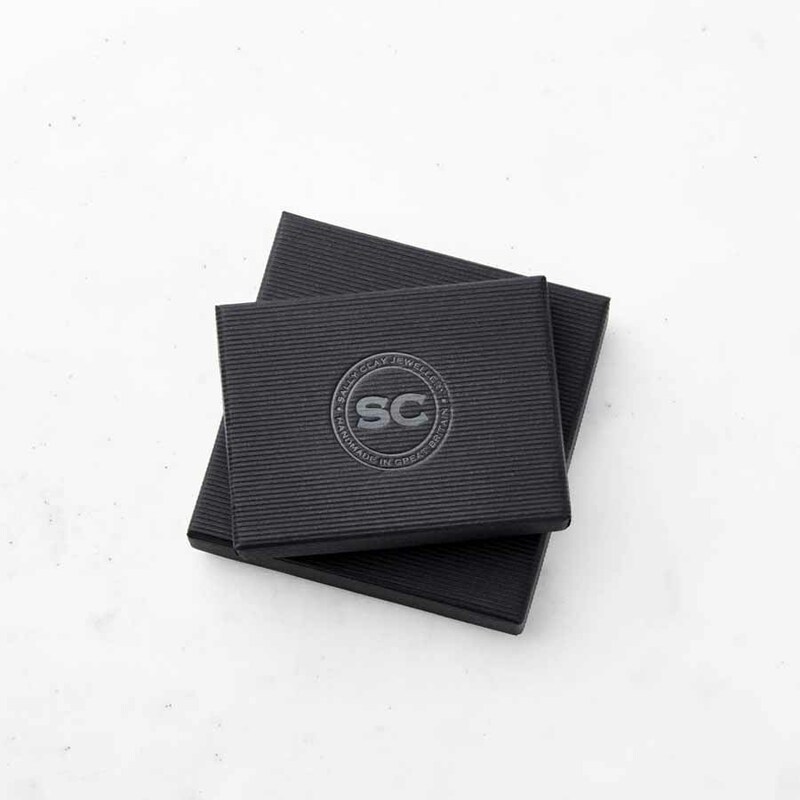 A perfect gift for a loved one, or treat yourself! This necklace makes a great birthday, bridesmaid/flowergirl or Christening gift. 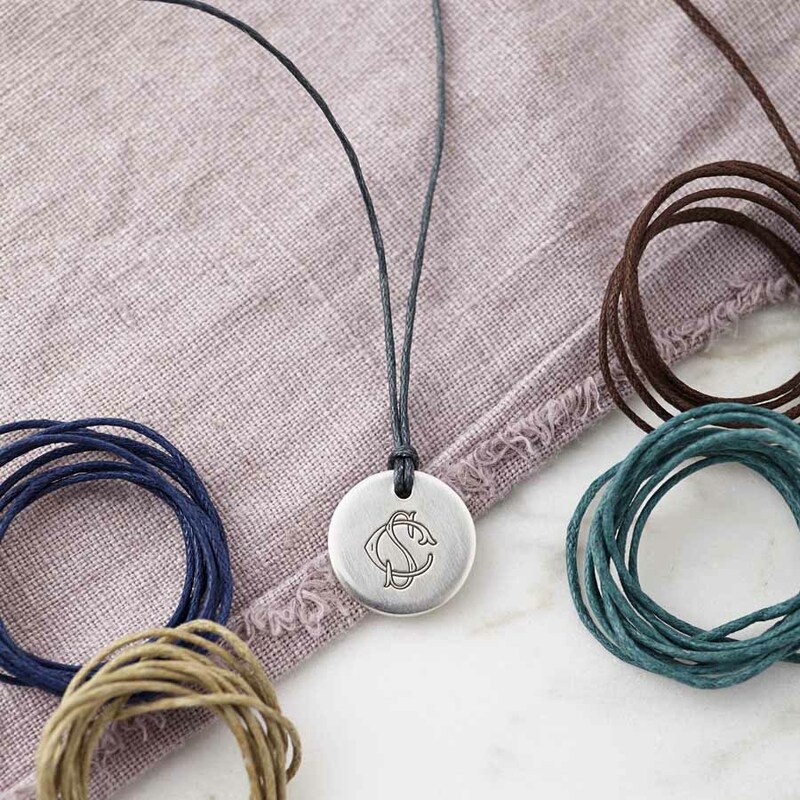 The adjustable cotton cord is available in 5 colours, please see the product images for these. 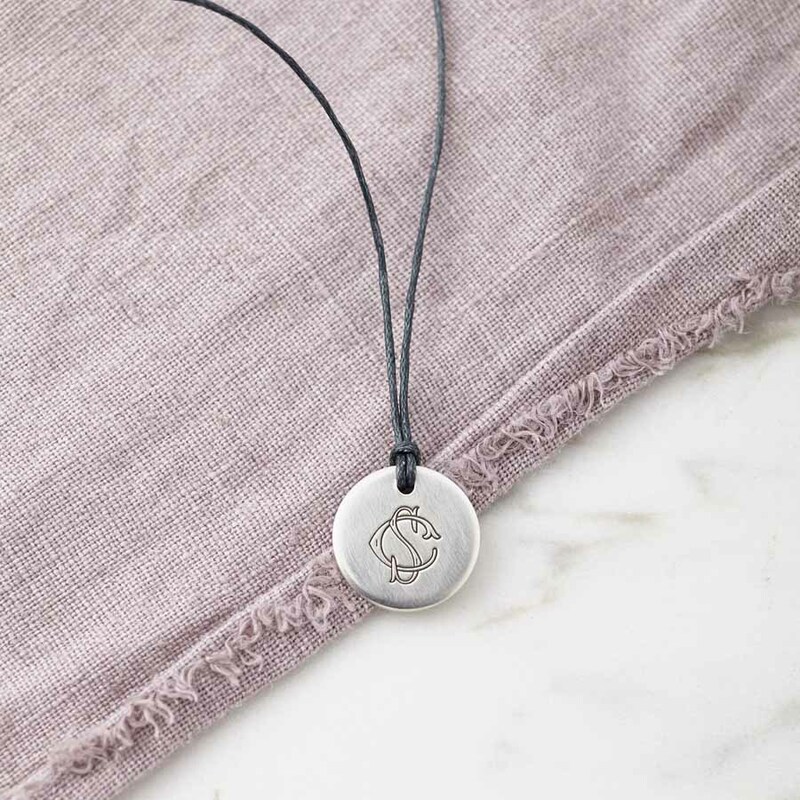 Sterling Silver on adjustable cotton cord. Silver Pendant measures 1.8cm and is 2mm thick.